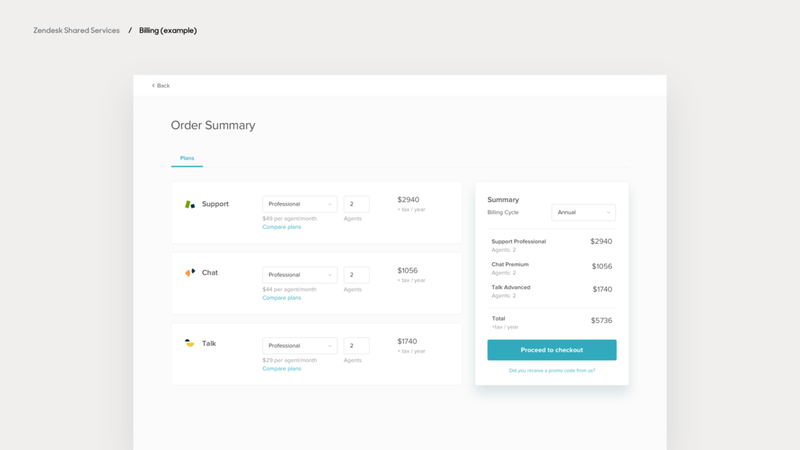 One of the first projects I started working on at Zendesk was Shared Services, which is a broad term we use for both design and engineering resources that are shared between products. As I started leading this design effort, it became pretty obvious that as we started developing new products that we would need to build out a shared set of UI components and unified navigation approaches in order to make it simple for users to work with multiple products in the Zendesk Family. The first stage of this involves launching global profile and product switcher menus, as well as introducing consistent Top and Side Navigation components across all products, while also working on consistent experiences for things like billing, onboarding, and authentication. 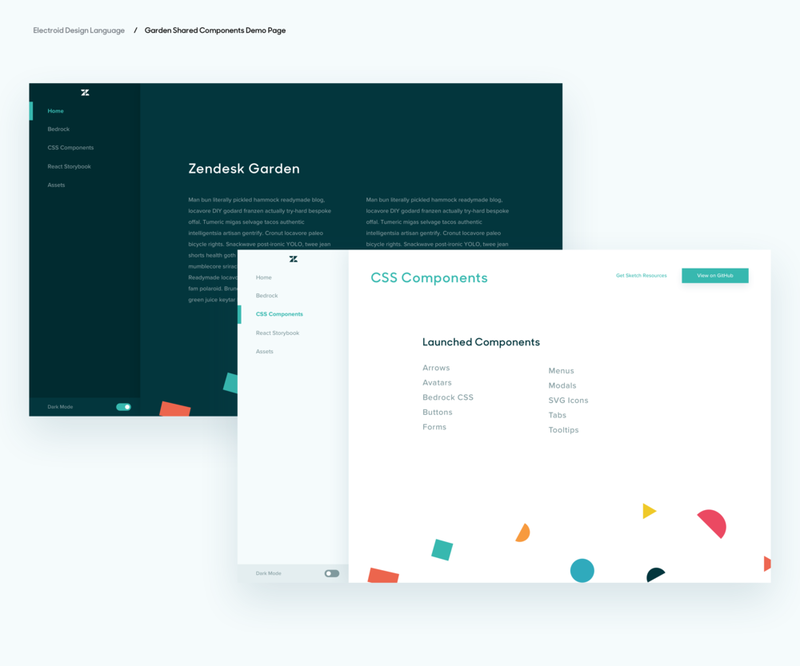 This is supported by the Garden project, which is a collaboration between myself and several front-end engineers to build an easily reusable set of CSS and React components based around our new design language (see the next section for more details). Overall this project has allowed for a significantly tighter level of integration and visual / behavioral consistency than we’ve been afforded in the past, while also allowing for much faster iteration.